It's PLA week! Feels like we've been waiting for the national conference to arrive forever. The Public Library Association has chosen our wonderful city for this year's annual conference and the first day was a blast. Can't wait to learn some more today! 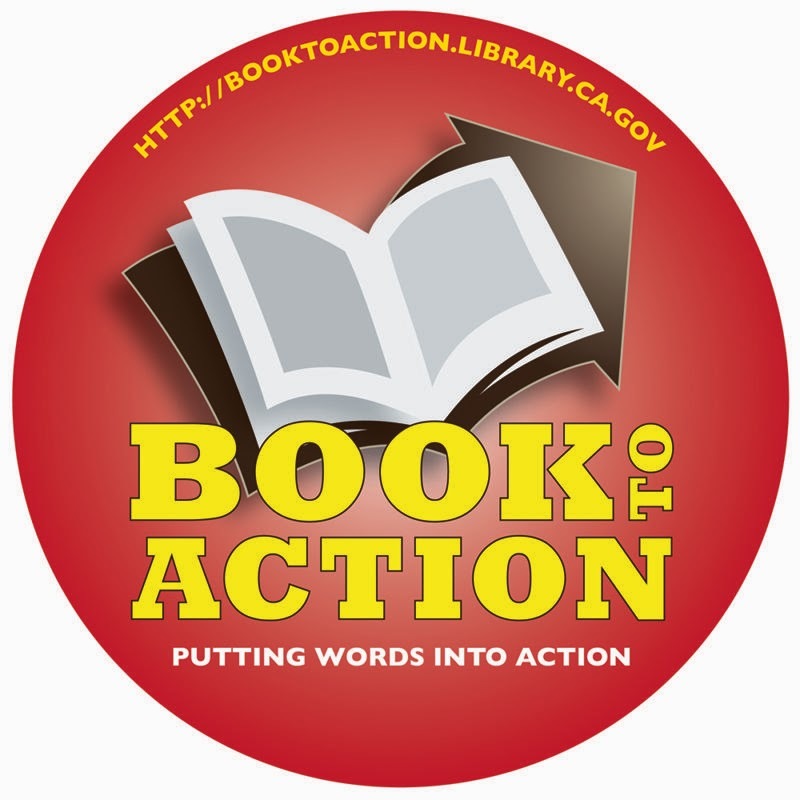 I went to a very interesting program on "Book To Action," a program that combines literacy with community service. We've dabbled in community reads before, but we've never tried to adding a civic engagement element to our programming. I love this idea though! What an excellent way to start a dialogue among your patron base while promoting literacy. The panel of librarians gave several examples of programs they had been into action. Each program utilized important community partnerships along with books discussions and events that focusing on some portion of the read. One library read Animal, Vegetable, Miracle by Barbara Kingsolver and utilized the master gardeners in the area for interesting programs on gardening. They also asked for help from the local farmers markets for programming on eating local and healthy recipes, and had a volunteer day at a community garden. You can start small or go big. The beauty of the program is that you can make it work for your particular community. And as I sat there in the presentation, I also realized that it would be an excellent opportunity for public libraries to collaborate with the local high school. Most high schools have service requirements or National Honors Societies who are looking for opportunities to get teens involved in volunteering in the community. What a great way to get the teens involved in civic engagement! Maybe they could read the book (or portions of it) and attend a book discussion, plan an activity, or attend the service day. The possibilities are endless.